Corporate audiences are always left in stitches when Norma has the C.E.O. volunteer for a hilarious "who's the dummy" routine. Often, people cannot fathom that all those voices are generated by Norma and not some voice altering device. Norma was privileged to be a writer and puppeteer on the late Shari Lewis' Emmy award winning television program and has appeared on the Comedy Network's Adventures in Comedy. Norma McKnight is represented by K&M Productions. 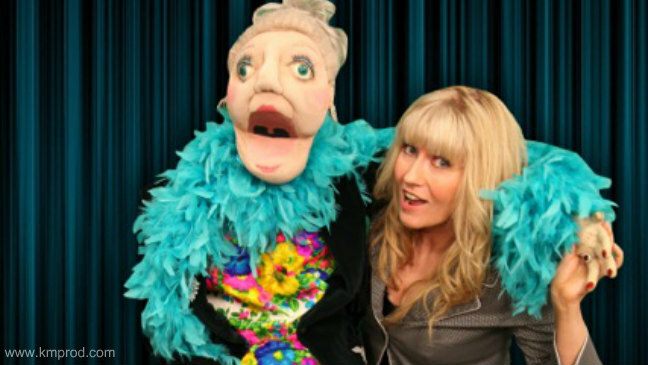 For more information, fees & booking ventriloquist-comedian Norma McKnight, contact us. Your level of ability is wildly impressive. You're really really a good ventriloquist. 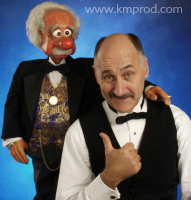 Hands-down the best ventriloquist I’ve seen! Norma, thanks for entertaining us so superbly. l Iaughed so hard I almost cried. We have been receiving rave reviews of your show. Comments such as that was the highlight of the evening and we laughed so hard we cried, and I’ve never seen anything as funny as that ventriloquist show, abounded from everyone we talked to. We will be happy to recommend you to anyone who wants to make their company function a huge success as ours was! Everyone raved about your performance and repeatedly commented on how talented and professional you were (I know my cheeks were sore from all the laughter!) I would gladly recommend you to anyone looking for top-notch entertainment. During your performance, I took a moment to glance at the audience. I noticed that EVERYONE was laughing. Not just a chuckle here or there but body shaking laughter. At that point, I knew hiring you was the best thing we did that night. Norma's performance exceeded all expectations. Her technique as a ventriloquist and her comedic talent is truly remarkable and matched by her impressive ability to read the audience. Many of our group are still talking about the interlude when Norma replaced a dummy with one of our executives. Hilarious! 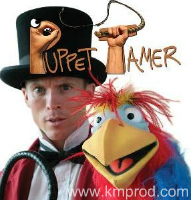 Norma McKnight provided MPR Teltech Ltd. with a ventriloquist performance that was simply incredible. Norma's ability to include and stimulate the audience was thoroughly hilarious. We found Norma's brand of comedy fresh and exciting. The interaction with the crowd was stimulating and fun. A memorable evening for all. Norma had the audience captivated with laughter and interest. The material she selected for the evening was perfect and her knack for selecting individuals as the focal point of the humour was superb. Norma was greatly responsible for what was a truly successful evening.